St Werburgh’s and St Columba’s Catholic Primary School are heading to Wembley to represent Chester FC on Saturday. The team will contest the final of the National League Trust Under 11s Cup at the iconic stadium prior to the National League promotion final between Boreham Wood and Tranmere Rovers. St Werburgh’s triumphed in the first round of the national schools competition, winning a tournament hosted by Chester FC Community Trust to progress to the north west finals. The team finished as runners-up in Stockport to book a place in the northern finals in Bradford, where the Hoole school defeated York City in the semi-finals before beating Tamworth to be crowned champions of the north. St Werburgh’s will face southern champions Dartford in the national final this weekend. Jim Green, chief executive of Chester FC Community Trust, said: “Everyone at Chester FC is hugely proud of the team and they have been wonderful representatives for our club and the city throughout this competition. 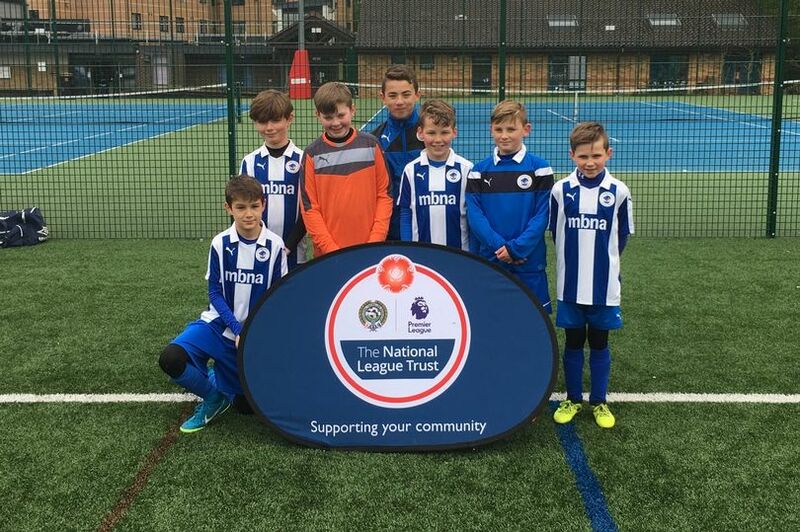 “To have the chance to play at Wembley is a once-in-a-lifetime experience and we would like to thank the National League Trust for creating this opportunity and organising the tournament. Matt Coaker, teacher and coach of the team, said: “We are so proud and thrilled at the boys achievement and are so excited to be representing the north of England in this match in such an amazing venue.